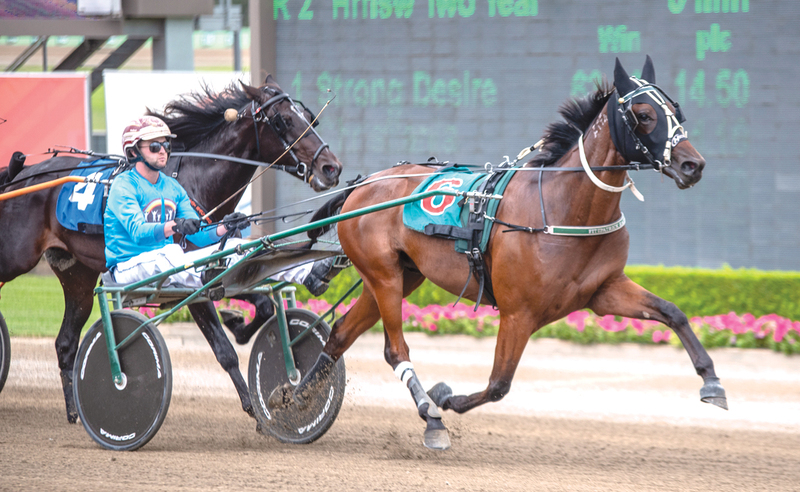 EXCITING freshman Gimondi is expected to have no trouble maintaining his perfect record at Tabcorp Park Menangle tomorrow. Winner of his two outings for trainer Blake Fitzpatrick, the trotter is a short priced favourite in a Foundation Series heat. Pleased with the two-year-old’s performances, Fitzpatrick is positive Gimondi can complete a hat-trick from barrier five. “He goes quite well,” Fitzpatrick said. “He’s been a surprise packet so far. Every time he has been taken off the farm he’s gotten better. “He’s always trotted nicely, but is lazy and hard to get a gauge on. Fitzpatrick also has Fantasy Miss in the following event, with the daughter of Roll With Joe “needing luck” despite drawing the pole. “It’ll be a hard race for her,” Fitzpatrick said. “She has got ability but will be better a three-year-old. Later on the card Fitzpatrick stablemates Moment In The Sun and Pegasus Elegance will cash in the Australian Pacing Gold Trotters’ Mile. Successful when first-up from a nine-month break a fortnight ago, Moment In The Sun will begin from gate four, with Pegasus Elegance drawn six. “Moment In The Sun is a good mare with a lot of ability,” Fitzpatrick said. “She is one to follow. “Pegasus Elegance is a consistent mare which is always and around the mark.